Thailand is hoping that those very familiar words that started the gold boom in America back in the late 1800′s will help to spark a mini boom of their own in Thailand. Thai officials are hoping to trigger a tourist boom by promoting a gold panning festival in April along the Wang River in the northern province of Lampang. Residents of the Wang Nua district in northern Lampang have been supplementing their income for generations by panning for gold along the river during the dry season. While the district doesn’t have enough gold deposits to support large scale mining operations it certainly has enough to supplement the locals income by an average of 9000 baht ( $ 300 ) per person during the dry season. Nothing to sneeze at for the locals but will this be enough to draw tourists to Thailand? The gold panning festival will coincide with the Songkran festival in April which may or may not be a good thing. Coupled with the fact that the locals, who presumably know what they are doing, are only bringing in an average of $300 for a few months work there isn’t much incentive for tourists to come. Who knows maybe someone will strike it rich and start a new gold boom but I think Thailand would do well to publicize the already great festivals it has to a larger audience before seeing if this new festival pans out. 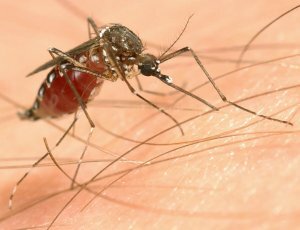 Since 2007 when a new strain of drug resistant malaria was found along the Thailand-Cambodia border the World Health Organization ( WHO ) has been putting all their resources to work to battle the resistant disease that could potentially spread rapidly and put millions of lives at risk. In the 2007 cases of Malaria that presented in both Cambodia and Thailand were found to be resistant to artemisinin, the best malaria drug on the market. The most potent weapon in the fight against malaria was the treatment but now that drug resistant strains of the disease have arisen the WHO has aimed it’s resources towards the eradication of the drug resistant strain and stopping it’s spread internationally. Malaria prevention has made amazing strides in the last decade, by WHO estimates the number of malaria cases has fallen by more than 50 percent in 43 countries. In 34 African countries estimates that more than 730,000 lives were saved between 2000 and 2010; nearly three quarters of them since 2006, when the use of both insecticide treated mosquito nets and artemisinin-based combination therapies became more widespread. Malaria health experts warn that the loss of artemisinin-based combination therapies as an effective treatment would send the malaria-related death toll soaring again. The Global Plan for Artemisinin Resistance Containment was developed by the WHO Global Malaria Programme through consultation with over 100 malaria experts from across the Roll Back Malaria Partnership. Funding was provided by the Bill and Melinda Gates Foundation. Stop the spread of resistant parasites. A fully funded and implemented malaria control agenda would address many of the needs for the containment and prevention of artemisinin resistance. 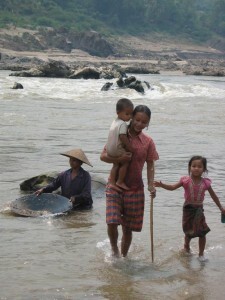 Additional funding will be needed to stop the spread of resistant parasites in areas where there is evidence of artemisinin resistance.The global plan estimates that it will cost an additional US$10-20 per person in areas of confirmed resistance along the Cambodia-Thailand border and US$8-10 per person in the at-risk locations within the Greater Mekong area. Increase monitoring and surveillance for artemisinin resistance. WHO estimated in 2010 that only 31 of the 75 countries that should be conducting routine testing of the efficacy of artemisinin-based combination therapies actually did so. There is a risk of artemisinin resistance emerging silently in areas without ongoing surveillance. Improve access to malaria diagnostic testing and use artemisinin-based combination therapies only to combat malaria. These therapies are frequently used to treat causes of fever other than malaria, which can increase the risk of resistance. To reduce the number of patients who do not have malaria taking the therapies, WHO recommends diagnostic testing of all suspected malaria cases before treatment. Invest in artemisinin resistance-related research. There is an urgent need to develop more rapid techniques for detecting resistant parasites, and to develop new classes of antimalarial medicines to eventually replace the artemisinin-based combination therapies. Motivate action and mobilize resources. The success of the global plan will depend on a well coordinated and adequately funded response from many stakeholders at global, regional and national levels. Seeing as the Mekong belt has been historically the epicenter of drug resistant malaria emergence it would seem a lot of the activity to quell the drug resistant disease will take place in and around Thailand and Cambodia. Every year, there are 250 million cases of malaria infections around the world, causing nearly one million deaths. If the combination therapies in use now see widespread failure then those numbers would rise significantly. 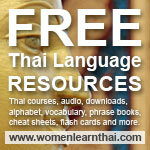 Thailand could and should play a key role in helping to implement these plans. Ooooh, I’d love to take part in a gold panning festival! But the threat of drug resistant maleria is a bit scary! I have had malaria before, it was awful. Talen, I can think of another method of “panning” for gold that some girls from the area employ, involving foreigners That said I quite like the idea which will no doubt appear more attractive with some TAT hype. I read only this week that a new anti-malaria injection(shot) is undergoing clinical trials-positive so far. Apparently it offers long term protection. Not sure what drug its based on though. I reckon I’d enjoy panning for gold; it sounds relaxing so long as you don’t have expectations of actually finding anything. I don’t go fishing, but maybe gold panning would be a good substitute. Paul, this might be a nice trip for you then…personally I would be panning for fresh water mussels and clams…yum. I read about the new malaria drug as well but from what I understand it will still need to be used in conjunction with the old drug. Talen, When I first read your article I worried that those locals presently making money panning would be done out of their income. But I believe gold is constantly being fed into streams, correct? I went gold panning when I lived in Alaska as a kid and it was exciting. The thrill of maybe finding GOLD was intense – just like looking forward to Xmas day. They had the large nuggets on display but of course no one came away with anything but tiny bits. Talen the true Thailand Gold Rush starts at Suvarnabhumi every Christmas. Just think how many of those tourists end up being sweet talked into a gold shop. Like the other commentators, I could really enjoy a morning panning for gold and I hope TAT’s idea kicks off. Gold panning…that drums up thoughts of rolled tobacco and a bottle of whiskey waiting on the river bank for you when you finish your day’s toil. Perfect. Cat, depends on where and how big the gold deposit is I guess. Panning could be fun…especially if you pull out a big hunk of gold. Emm, Malaria certainly doesn’t sound like fun… but if you strike it rich and pan a huge nugget it might well be worth it.